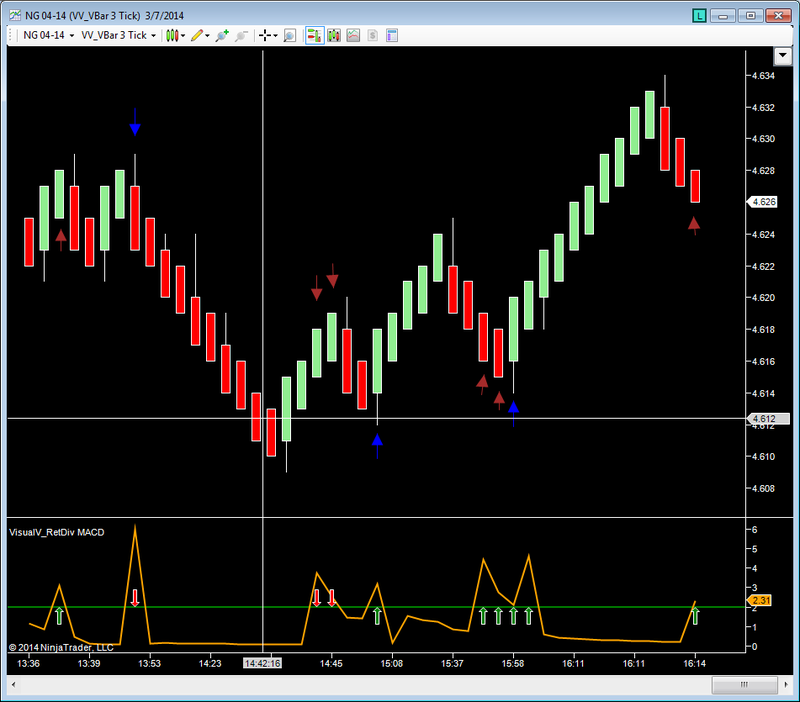 VisualVTrader's Retracement Divergence indicator tries to find areas where the retracement in an indicator is far less than the price movement based on the previous pivot points. Trading this indicator is a little tricky, and a tail on a VBar is needed before a trade can be taken. The trades that could have been taken are marked with a blue arrow and the invalid setups are marked with a brown colored arrow.